Get ready for an International Fashion Show, photoshoot. At the Arise Africa Awards, we would be paying tribute to heroes who are indeed making Africa Arise. We will be promoting our rich cultural values and our beautiful and talented models. We will be celebrating people, places and values. There are heroes in every community. Entrepreneurs, community leaders, business owners, real estate developers, and others whose vision, tenacity and hard work are transforming our community into a better place to live, work and do business. All the Nominess are working to raise the beautiful continent of Africa. 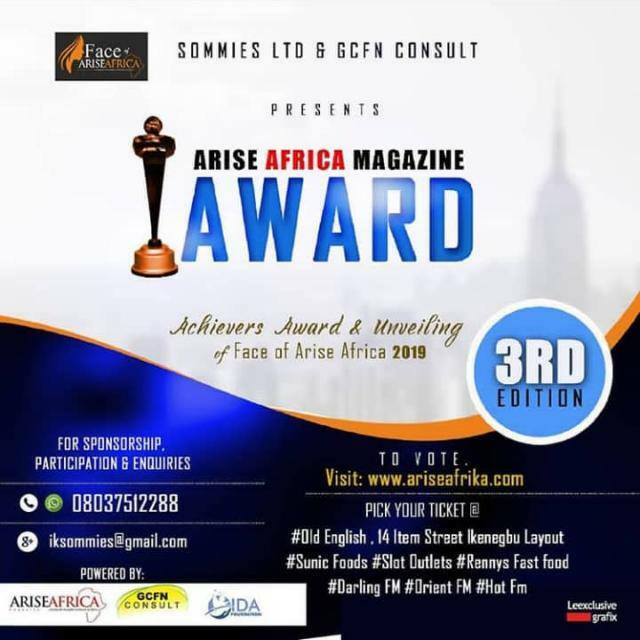 ARISE AFRIKA AWARDS 2019 ONLINE VOTING HERE! 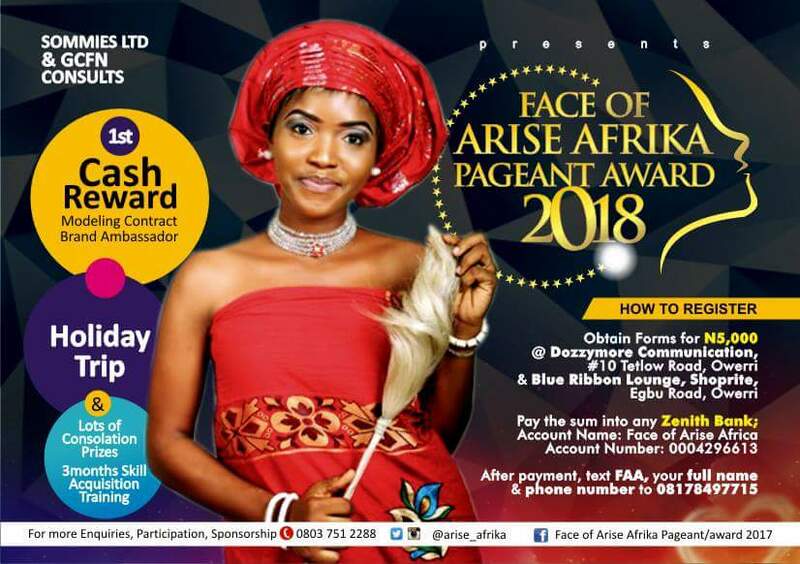 Winners will be unveiled at the grand finale of Face of Arise Africa. Congratulations to all our nominees this year. 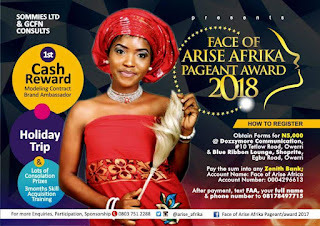 Do well to forward your concise profile and photos for inclusion on Arise Africa Magazine. 1. Can we get to meet you? (a) Where were you born and how was growing up like? My Name is Longinus Anyaehiechukwu Anokwute. I was born in Nigeria, In Imo State. In Umuduru, Ekwe, Isu Local Government Area in a hospital called "Nnaji Hospital & Maternity "
My growing up was fine but in another way, it was not smooth. I am the last child of my parents. In the family of six. 4 boys and 2 girls. 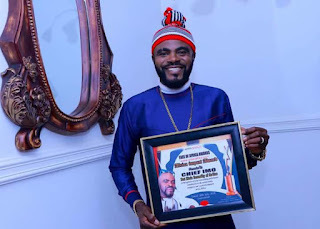 I thank God for everything he has done in the life of this very man you are seeing here today, the Almighty God I serve smoothened the rough ways for me. It was never easy growing up as a child. Never believed life can be so rosy towards the end of it. I was raised up empty handely by my mother and elder sister (may her soul rest in peace). There was no uncle to run for help. I moved from bush to bush. Back then, help was far from reach despite the daily struggle. I was doing manual jobs.